Gilt Club is one of those places that I drive by all the time and have wanted to go to forever but it has just never worked out...until last Friday. 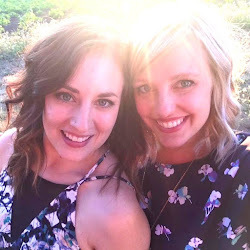 Our friend Katie B. had a $50 gift certificate that she generously offered to share with Kelly, Dena, Leslie and me as well as fellow happy hour enthusiasts Sophie and Valerie. The restaurant space was smaller than it looks from the outside but the dim lighting and comfy over-sized red booths gave the place a swanky feel. While most of the patrons were dressed pretty casually, the menu was definitely created with sophisticated tastes in mind. We started off by ordering a round of drinks. Sophie and Katie B. opted for the $5-a-glass happy hour wine selection, Kelly and I went for the $5 happy hour Fresh Appletini, Leslie and Valerie chose the Sauvie Island Blackberry Press for $6.50 and Dena got the $8 Glitter Pants (which came complete with rock candy garnish...nice). We were all hungry so when it came time to order food, we decided to splurge. We each got a mini burger with caramelized onions, Nueskes bacon, gruyére cheese, secret sauce, and house made slaw and frites for $5. The waitress claimed that there was about 3 bites in each burger but we all agreed that they were bigger than that, and with the amount of fries the burger came with, the burgers were more filling than we anticipated. We didn't stop with the burgers though. We also ordered one pizza of the day, 2 baked goat cheeses with seasonal fruit compote and crostini, one Manchego fritters with a roasted red pepper sauce, one Caesar salad with creamy lemon garlic dressing and baguette croutons, and one apple and pear salad with chicory, beet purée and goat cheese vinaigrette, all $5 each. Everything was really good with the Manchego fritters being the surprise favorite. Since we were on a roll, we ordered another round of drinks and this time, while Kelly and I stayed with the appletinis, Leslie and Dena went with the $5 happy hour Moscow Mules. Not only were they served in the traditional copper cup, they were also delicious. Good call Dena. We had a great time happy-houring with Katie B, Sophie and Valerie so hopefully we'll all be able to get together again soon!